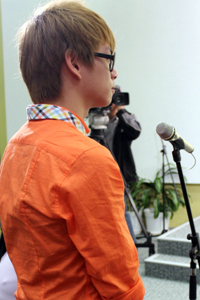 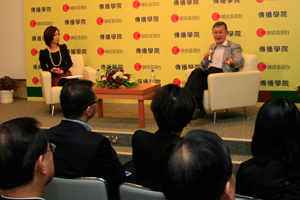 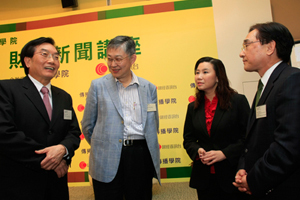 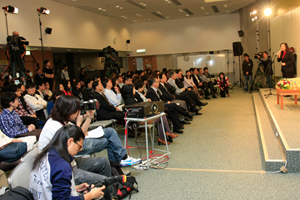 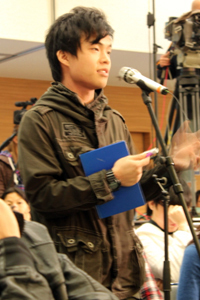 i-Cable Finance Info Channel and the School of Communication have jointly organized a series of Financial News Seminars. 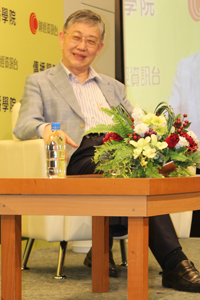 We were honored to invite Mr. Shih Wing Ching, the founder of Centaline Property, as the guest speaker for the second seminar. 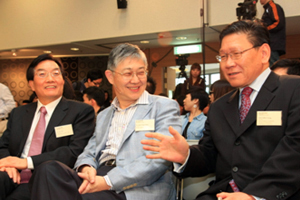 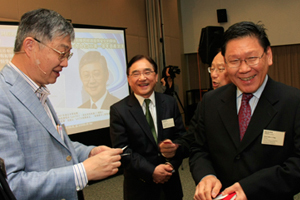 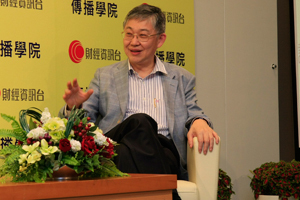 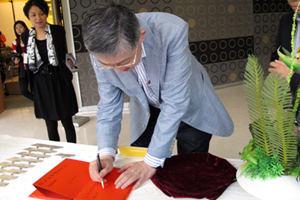 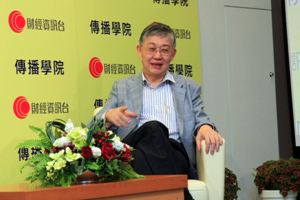 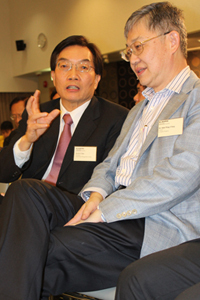 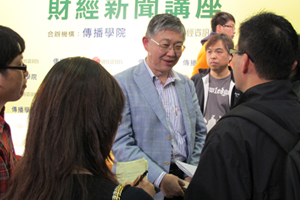 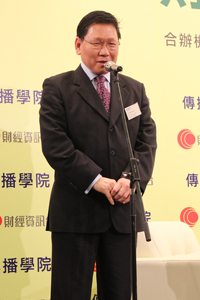 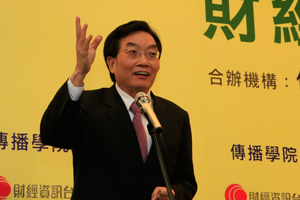 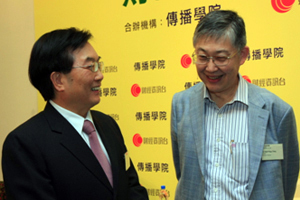 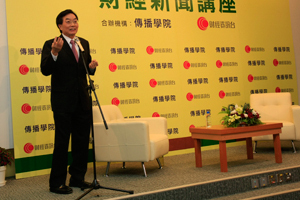 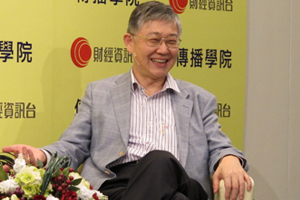 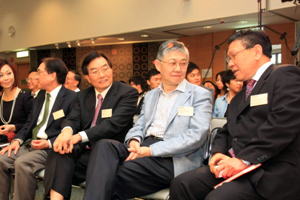 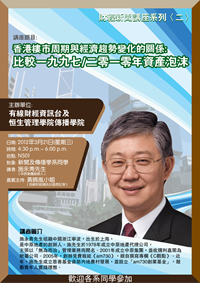 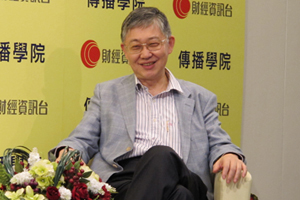 Mr. Shih is a well-experienced professional in the real estate industry. 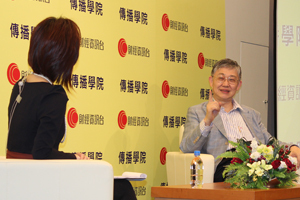 In the seminar, he enriched students’ knowledge about property development in the Mainland and Hong Kong by comparing the asset bubble of 1997 and 2000 and illustrating the relationship between HK property market and economy trend. 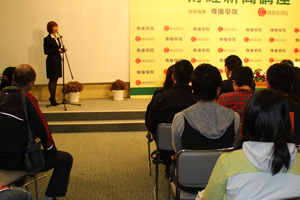 He also shared his experience and exhorted students to manage their assets carefully so as to lay a good foundation for buying property. 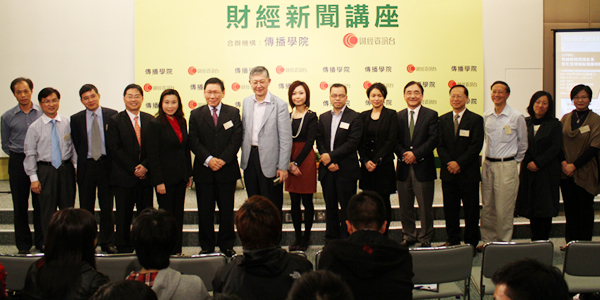 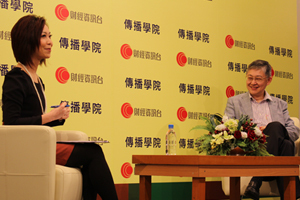 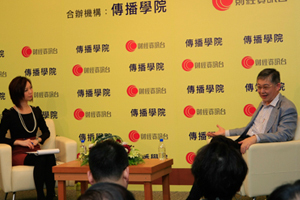 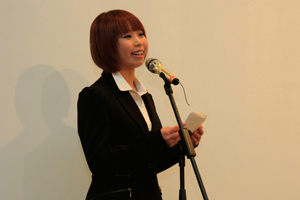 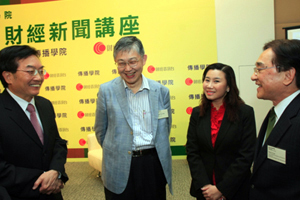 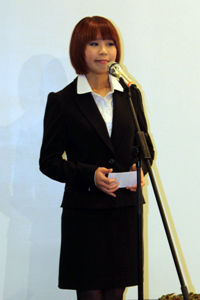 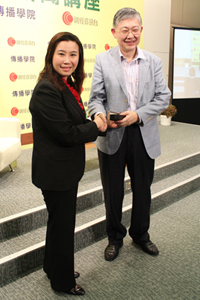 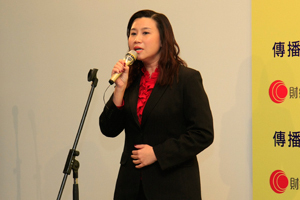 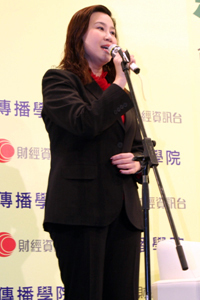 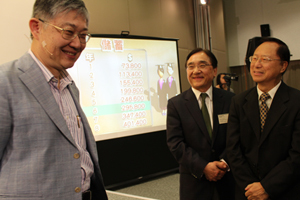 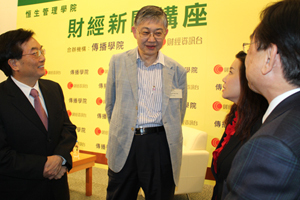 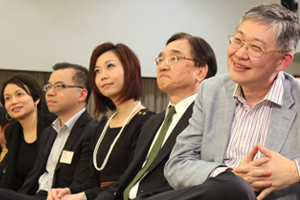 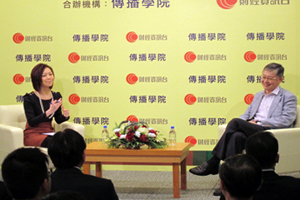 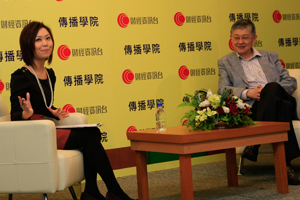 Ms Iris Wong, Chief Reporter of Finance Info Channel, was invited to be the guest host. 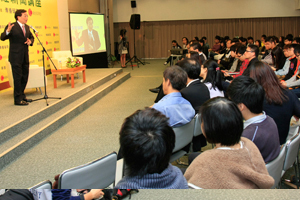 The humorous interaction between Mr. Shih and Ms Wong has brought great laughs to the seminar.